Klaipeda port in Lithuania is gradually losing Belarusian transit. This was stated by the Chairman of the Board “Latvian railway” Edwin Berzins. According to him, shippers increasingly prefer to use the services of the Latvian ports. 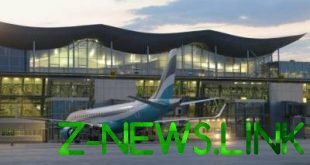 Lithuania, which do not take seriously the warning of the President of Belarus Alexander Lukashenko on the reorientation of the transit of Latvia, the port loses the battle with the Baltic neighbour. The volume of transit cargoes from Belarus via Latvian ports last year grew by 10%, says the European Commission. The figures, which he leads, should be treated with caution. The chief of the “Latvian railway” still very interested to embellish the achievements of the domestic ports. Don’t creep in if it’s stats cunning manipulation? For completeness, it is necessary to pay attention to other figures. First of all, Belarus in 2018 increased export of goods by 15.3% and has taken significant steps to diversify markets. As a result, the share of EEU in total volume of export of Belarusian goods decreased from 46.7% to 41.2%, while the share of the EU increased from 26.8% to 30.2%. Probably this was primarily caused by the growth of the Belarusian transit through Latvia. At what here Lithuania? The question becomes even more relevant if we consider that the turnover of Klaipeda port in 2018 rose by 7.3%. But the overall positive trends Klaipeda loses transshipment of liquid cargo, so that part of the Belarusian oil transit Latvians Lithuanians still caught. After the words of the President of Belarus Alexander Lukashenko on the need to “focus on Latvia” that’s to be expected. “If we talk about such goods as fertilizers and petroleum products, we cannot exclude the possibility of making decisions and giving instructions to state enterprises to change the ports of transshipment and export. 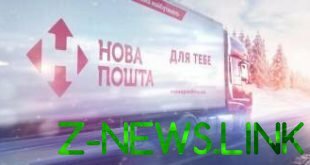 This may not be ruled out”, — commented on Lukashenka’s statement, the Director of the container terminal Klaipedos konteineriu terminalas (KKT) Vaidotas Sileika. In General, Lithuanians still tend to believe that bluffing Lukashenko: Belarusian suppliers to use the services of Latvian ports unprofitable. When the Minister of transport and communications of Lithuania Rokas Masiulis demanded to answer why the government does not react to attempts of Latvia to entice from Klaipeda Belarusian goods, he urged colleagues to calm. Why worry, if Lithuania offers the best from the point of view of logistics terms? Minsk, as you know, of two or more commercial offers always chooses the best, not politically expedient. This illustrates the example of Russian ports, which the Russian President also tried to win over the Belarusian transit. In August 2017, Vladimir Putin explicitly stated that derived from Russian crude, Belarusian oil products would be good to export via Russian ports. No sooner said than done: in November, the concern Belneftekhim signed a contract for transshipment of its products through the Russian Federation. But the process of reorientation of the Belarusian oil transit to the port of Ust-Luga has stalled. Today the main flow of oil transit to Belarusian oil refineries are still sent to the Baltic ports. Lithuanian leaders somehow believe that in the case of Latvia, history will repeat itself. Only this time Vilnius of reasons for optimism should be a lot less. The port of Liepaja from Klaipeda is just a short distance (the distance between them in a straight line is less than 100 kilometers). To compensate for transport costs in case of a reorientation of the Belarusian oil transit in Liepaja can be due to the reduction of railway tariffs. And who then will focus the Minsk to Lithuania, which strongly hinders the construction of the Belarusian nuclear power plant (Belarusian NPP), or Latvia, which is against this project doesn’t mind? Lithuanian authorities have no doubt that accommodating the Latvians are trying to negotiate new volume of Belarusian transit which Lukashenka can throw Klaipeda direction. Here are just a Minsk for political loyalty does not “bite”. For him the differences between Riga and Vilnius on the issue of the Belarusian NPP is also the opportunity to bargain. From Latvia, he is waiting for the best commercial offers and support in the international arena. For the support relies only a small bonus, which informs the Chairman of the Board “Latvian railway”. The growth of transit of goods from Belarus by 10% per year with pjatnadtsatiminutnogo growth of export of Belarus — is a drop in the ocean. How many more “drip” of Latvia? It all depends on what conditions she is willing to offer. The competition between Vilnius and Riga is exacerbated and even for the reason that the transit of Russian goods to the Baltic States loses once and for all. To existing ports in Leningrad region will soon be added to the multidisciplinary deep-sea port complex in the Central district with a turnover up to 70 million tons per year. Local authorities do not conceal that his main goal is to “finish” the ports of the Baltic States. “For Leningrad region is a significant project, a new growth point, which will give opportunities for the development of port areas, and for the reorientation of Russian export cargoes from foreign ports of the Baltic region”, — said the Governor of Leningrad region Alexander Drozdenko. The possibility of redirection of Belarusian transit to Russian ports, too, should not be discounted. The key question here railway tariffs, which the management of Russian Railways for the Belarusian oil trading in recent years has decreased twice. Perhaps, another discount will cause them to pay attention to port infrastructure in Leningrad region? Whatever it was, diversification of Belarusian transit remains a purely economic issue. Ports for transshipment of cargo “father” chooses with a calculator in hand. The Lithuanian authorities have it on hand, so they repeat, like a mantra, that to withdraw from Klaipeda to Minsk is unprofitable. Not necessary, say, to be confused with the righteous sinful! The NPP separately — transit alone. One thing is unclear: why Vilnius is in other situations not governed by this logic? Turning Lenin’s famous postulate, post-Soviet Lithuania is trying to prove that the economy is a concentrated expression of politics, not Vice versa. The authorities of the Republic did not think about the benefits when I closed the Ignalina nuclear power plant, rented now idle LNG terminal Independence, imposed sanctions against Russia. And only facing the threat of losing Belarusian transit Lithuania somehow see clearly.